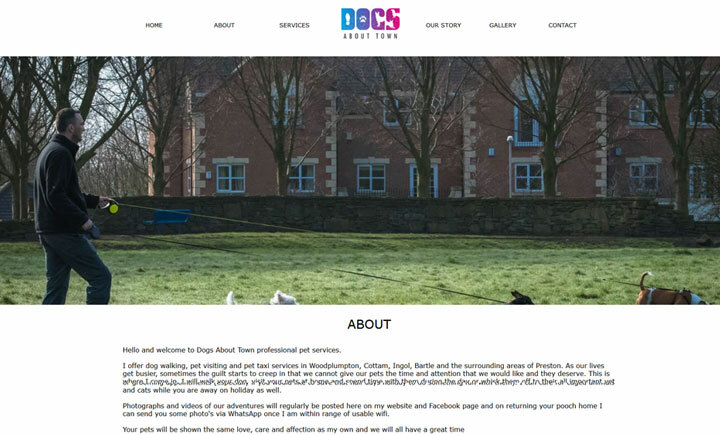 Dogs About Town offer professional dog walking, pet visiting and pet taxi services in Woodplumpton, Cottam, Ingol, Bartle and the surrounding areas of Preston. If you’re busy with work or can’t get home to exercise your dog as much as you’d like, I can help! I will walk your dog, visit your pets at home and spend time with them during the day. The time for walks starts from when we arrive at our walking destination and not at the time of pick up, so your furry family member will have at least an hour of exercise. Half hour walks are available on request for smaller (or more mature) dogs. I am DBS checked, fully insured and hold a pet first aid certificate. Dogs About Town also covers Woodplumpton, Cottam, Ingol, Bartle.